Both carmakers’ shares tanked after Nissan said its chairman had understated his income and might leave. With Carlos Ghosn also Renault CEO, the two groups are reliant on one big hitter to solve their lopsided partnership. That’s a big problem if he’s no longer there. Carlos Ghosn, Chairman and CEO of the Renault-Nissan Alliance, speaks during an interview with Reuters at Nissan's global headquarters in Yokohama, Japan, February 23, 2017. 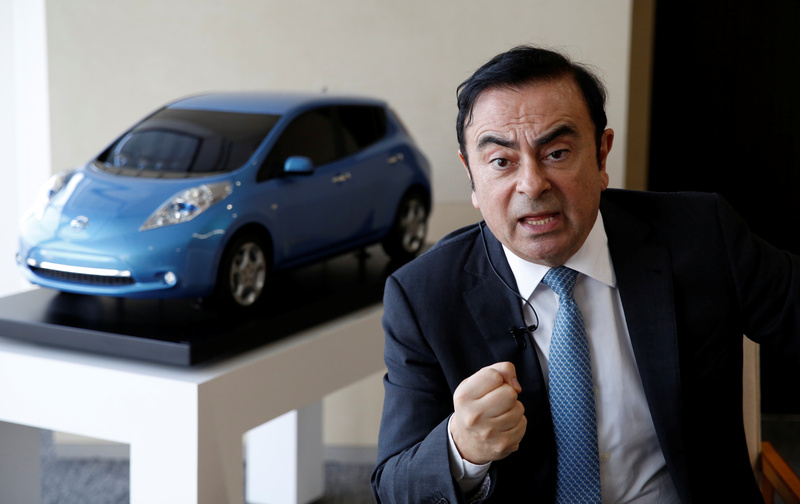 Japanese automaker Nissan said on Nov. 19 that Chairman Carlos Ghosn had used company money for personal use and that it had been investigating possible improper practices of Ghosn and Representative Director Greg Kelly for several months. Japan’s Asahi newspaper reported earlier in the day that Ghosn, who is also chairman and chief executive of France's Renault, could be arrested by Tokyo prosecutors for alleged violation of Japan's financial instruments and exchange act. The newspaper said Ghosn was suspected of having understated his own income on financial statements and had agreed to voluntarily speak to prosecutors. Renault, 15 percent owned by the French state, said in February that its board had asked Ghosn to stay on for another four years to pursue closer integration with its alliance partner Nissan. The Japanese carmaker owns about 15 percent of Renault, which in turn owns 43 percent of Nissan. Renault shares were down 10.8 percent to 57.58 euros at 0955 GMT on Nov. 19. Nissan’s German-listed securities were down 10.9 percent.